I’m always on the lookout for new ways to create extra income on platforms that allow you to work from anywhere in the world. 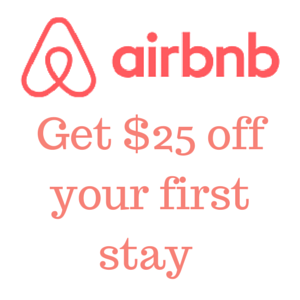 I recently started selling an Airbnb Listing Check service on Fiverr, one of the largest online market places for professional services. In this post I share my results so far and I’ll teach you how you can start making money on Fiverr for yourself. 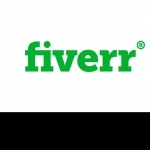 Fiverr is an online marketplace for professional services that has over 1 million buyers. It’s a convenience and value oriented market place where all services (called “gigs”) cost $5. You can however add extra services called “gig extras” to make additional money. Since you’re not making much per gig as a seller (you actually net $4 per order as Fiverr takes $1), the trick to making a decent hourly rate is to create a gig that doesn’t cost much time to deliver. In my first two weeks on Fiverr (I started February 24th 2016), I delivered 62 gigs, which made me $248. I made an extra $120 on top as some buyers paid an extra $5 for faster delivery and/or $5 to receive my Airbnb guidebook. So my total earning so far total $368. It takes me around 5 to 10 minutes to complete a gig, so I’ve spent less than 10 hours to make this money. My hourly rate is at least $36 / hour, which is not bad since I can literally do this work on the beach. (I couldn’t figure out how to get these stats in English, “Inkomsten” means “earnings” and “Verdiend” means “earned”). My gig is now listed as the No.1 top rated gig for the keyword “airbnb,” I became a Level 2 seller and I have a five-star rating with 27 reviews, so not bad! Let’s get down to business! If you want to start making money on Fiverr, follow these nine steps to get your first gig live within an hour or two! Note: This post is designed to take you through the gig creation process step-by-step so I suggest you create your first gig as you’re going through this post. If you already have a gig, go through the steps and make adjustments as you see fit. Don’t just read, take action now! You may think: shouldn’t step one be to start selling? Wrong. If you want to be effective in developing your gig, delivering your gig and following up with the buyer after your gig, you have to learn to think like a buyer. The only way to think like a buyer is…you got it, be a buyer. Fiverr is a value and convenience oriented market place and most gigs are targeted at businesses, not so much at consumers. You might wonder, why would a business be interested in a site that sells gigs for only $5? The reasons are (1) it’s obviously inexpensive and (2) the gigs are standard, which means there is no negotiation, so it’s fast. What kind of business cares a lot about value and convenience? It’s most likely (1) small businesses and (2) freelancers. So before selecting your gig, you want to adopt the mindset of a small business owner or a freelancer. What type of gigs should you buy? You want to focus on the categories where you think you might want to sell your gig, even if you personally have no need for the services offered in these categories. The point is to go through the decision making process of a potential buyer so you’ll be better prepared as a seller to address their needs. You want to buy some of the popular gigs with lots of reviews and a few gigs with just a few reviews in order to get the full flavor of what’s available on the site. During the shopping process, you want to note what factors influence your decision. What do you as a buyer care about most? The sellers’ profile? The reviews? The picture? Notice what drives your decision making. Compare the top selling gigs to the lower selling gigs. What’s different about them? Which ones stand out and why? Also pay attention to the sellers’ user names. When you buy your first gig, you have to sign up for Fiverr and choose a username that can’t be changed later. The most obvious user name would be your full name. This conveys trust and authenticity. If you’re not comfortable using your full name, use your first name. Last but not least, don’t just browse a bunch of gigs. Actually make a few purchases, consider it a $15-$20 investment. You really want to understand the full process from choosing the gig, the buying process, the fulfillment process and the follow-up after. Titles are a marketing tool to attract buyers to your gig. When you went through your buying exercise, you probably noticed that titles helped you decide which gigs to look at. Titles are also a discovery tool. They enable your gig to be discovered by the Fiverr search engine. So how can you optimize your title for maximum marketing and discoverability power? To optimize for discoverability, include high ranking search terms that are related to your gig in your title. For marketing purposes, you want to have a simple, concise and results-oriented title. Here are two steps to optimize your title combining the two purposes of the title. First, find potential keywords to include in your title, look at the tags that some of the best performing gigs in your category use. 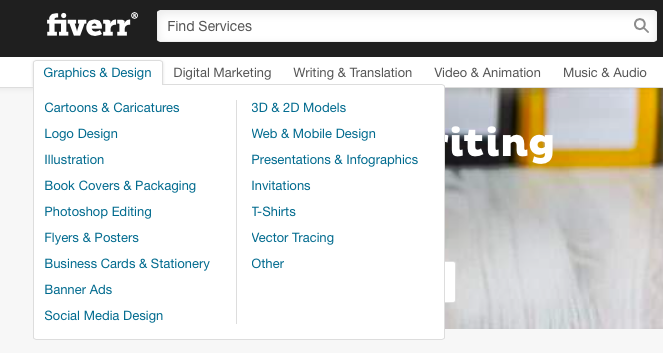 Fill in those tags in the Fiverr search window by starting with the first letter to see what comes up. Fiverr will suggest the keywords that are most searched for that start with the same letter. If the tag comes up after filling in just the first letter, then that keyword is searched for a lot and you want to use it in your title. Try a bunch of different tags and write down the ones that come up after filling in the fewest amount of letters. You now have a collection of keywords that you can fit into your title. The next step is to create a catchy, results oriented title out of these keywords. Be very specific about what the buyer will get for his $5. All titles start with “I will…” and you have 80 characters in total, although Fiverr recommends you stick with 60 characters. At this point it becomes an art, not a science. Play around with different titles until you have something that sounds appealing, has as many high ranking keywords as possible and focusses on the result. Since you’ve already figured out what the highest ranking keywords relating to your gig are as part of the title creating process, you may as well add those to your profile now. If the tag doesn’t come up as a pre-defined tag, simply enter a “,” after you fill in the tag to add the tag. There are three key aspects of a description that make it successful: (1) it has to convey value, (2) it should set clear expectations that you can exceed and (3) it should communicate that you’re passionate about what you do. To get some inspiration, check out the top five to ten highest rated gigs in your category. Remember, Fiverr is a value and convenience oriented market place. A fast delivery time is crucial to the competitiveness of your gig, but it can also create challenges for your business if you can’t deliver on time. The biggest source of buyer in-satisfaction on Fiverr is late delivery, which can result in canceled orders and bad reviews. These obviously hurt your business a lot, so you should always make sure to deliver on time. Therefore, set the fastest delivery time that you can realistically meet for every single order. A good way to do this, is to estimate how long you think it will take you to complete a gig and add one extra day as a buffer. Videos are one of your most powerful tools as a new Fiverr seller because they are incredibly effective at building trust. Gigs with videos have 220% more sales. I know you may be nervous getting in front of a camera. Don’t sweat it, you don’t have to be Brad Pitt and deliver a world-class acting performance. You just need to be who you are. 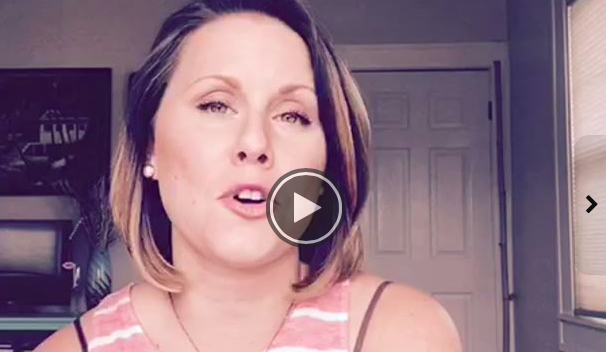 Here’s a really good example of a video by a new Fiverr seller. You can add as many photos to your gig as you want. You should have the first picture be a clear representation of the end-benefit of your gig. For the other pictures, it depends on the nature of your gig. If you’re a designer, you should show some of your portfolio. But even if your service isn’t anything visual, you can still get creative and make use of the photo section. For example, if you offer a web-developer service, you could take some pictures of code that you’ve written. Again, look at the top selling gigs in your category for inspiration. For certain categories, you can also add a cover photo. This one has to be 1100 x 260 and high resolution. You should also add a clear photo showing your face to your profile. This adds a layer of trust to your profile. You should be very clear in describing what you need from your buyer in order to deliver your gig. If you’re not clear, you’ll have to message your buyer to ask for more details which is going to delay the delivery and cost you extra time. Step nine: Publish your gig! That’s it, it’s now time to publish your gig! Pad yourself on your back for having a live gig on Fiverr. Now here’s a tip to get your first sale and review. Ask people in your social network who may be interested in your gig to buy and review it. Getting those first couple sales and reviews in is crucial to gain momentum on the platform. Liked what you learned? These are the basic steps to becoming a Fiverr seller. If you want to learn (1) how to make more than $5 per gig using gig extras (2) deliver an experience that will create loyal buyers and (3) other key strategies on how to be successful on Fiverr, sign up for my Freelancing 101 course now and get $50 off the listed price. Great tips, exactly what I needed! Thanks for sharing your experience with us, it is siper useful to me! I have some experience with upwork, but I am planning to try feverr these days. Your course sounds very good, thanks for sharing. Thanks for the great guide. I’d really like to try fiverr, I must think what kind of gig I’d make. Amazing guide, i am also using it but don’t earn money till now with it. i ‘ll try again with your tips and hope these tips will help me to make money. I’ve been aware of Fiverr for quite some time, but have never been able to come up with an idea for something I could do fast enough to make it worthwhile. If I ever do though, the information in your article should prove helpful. Great tips. This is exactly I’ve been looking for. I hope it could help me a lot. Fiverr really seems to be upping its game these days. Super quality service with reliable freelancers over there. Thanks for sharing the inspired guide dude. thanks for commenting, glad you find the guide helpful!